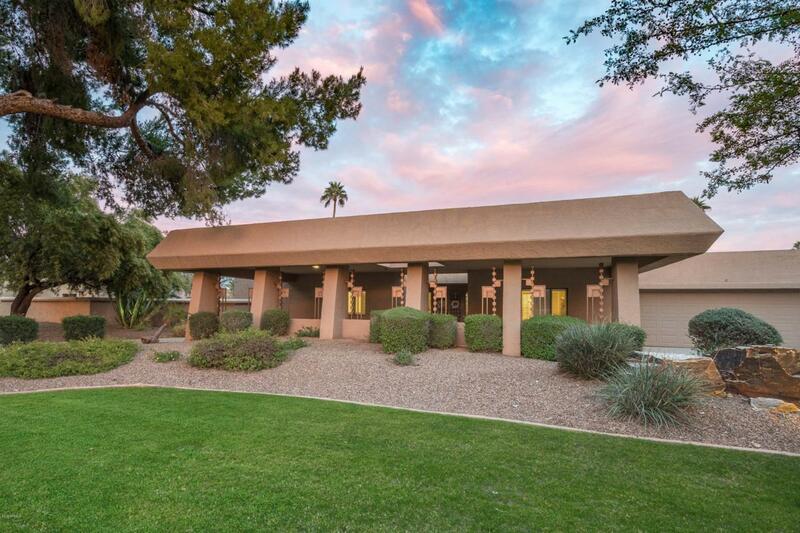 An exceptional Frank Lloyd Wright design in Paradise Valley that is both warm and welcoming. Formerly a model home in Mountain View Estates. The lush yard, large trees and circular drive immediately draw you in through the front doors where the brick fireplace adjoins both the living and dining room that look onto the backyard creating a feeling of comfort and solace. The master bedroom and bathroom are both spacious and bright. Chef's kitchen offers rich cabinetry, Spanish tile floors and granite countertops with sliding glass doors that lead onto the covered patio, backyard and linear style pool.